Don't forget your Employee Cards! Speed up the login of your employees and secure your systems using our durable employee cards. Each card is uniquely numbered with a barcode and magstripe for employee accountability. Use the cards for logging into the system, clocking in and out of the time card function and for fast and easy manager overrides. NEW: Your employee cards now allow you to use the timeclock feature from within the POS. 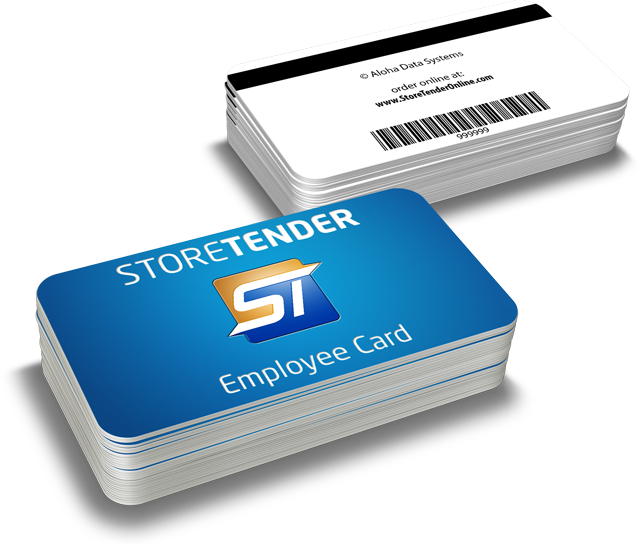 This is a feature that is only available with the official StoreTender employee cards! Free USPS shipping within continental U.S.
Cards are sold in lots of 20 cards each.